A Note from the Owner….. I have spent many years at the administrative level, and there are two things I’ve learned. The first is that it’s important to find quality teachers who love their jobs. If they love their jobs, they’ll go above and beyond to educate and care for the children in their classroom. The second thing is to treat those teachers well, avoiding the revolving door of inconsistency in staff found at most corporate daycare centers. At our school, you’ll find that our experienced teachers (a combined total of 85 years) take pride in what they do with our children daily. There is a close relationship among the staff. A level of support for each other that is hard to find. We’re different. 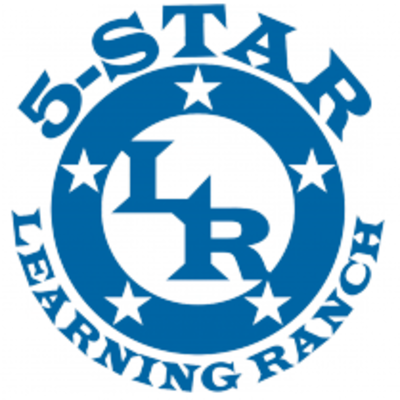 We’re 5-Star Learning Ranch. Anita has a Bachelor's Degree in Elementary Education with a specialization in Early Childhood Development. She also has a Master's Degree in Educational Leadership and currently holds a Principal's Certificate. Her work experience includes holding the position of a Director & District Manager for a corporate daycare company, the Director of a Head Start Program, teaching at the elementary level, an Assistant Principal of an elementary & middle school, teaching at the college level, and owning a Teacher Alternative Certification business. Overall, her experience in the education field spans over 20 years. Ms. Anita is also First Aid/CPR certified and holds a Food Sanitation Certificate. Ms. Katie has worked for our school since its opening in 2011. Ms. Katie attended Waubonsee Community College. She is both Lead Teacher and Director qualified. She is also First Aid/CPR Certified holds a Food Sanitation Certificate. Ms. Katie has been through an additional year of training in Early Literacy, allowing her to academically prepare children for Kindergarten. Her love for teaching and children is evident in the results seen by our parents. Ms. Brandy has worked for our school since it’s opening in 2011. She has also worked with children through the Batavia Park District, including children with special needs. She is also First Aid/CPR Certified and holds a Food Sanitation certificate..Ms. Brandy’s nurturing personality and experience with children, allows for quality care and teaching daily. Ms. Kerry received her Associates Degree from the College of DuPage. She has over 7 years of experience in the Early Childhood field. She is Lead Teacher and Director qualified. She is also First Aid/CPR Certified. She currently works in our Infant/Toddler classroom where she brings our weekly themes to life through several methods, including art and sign language. Ms. Kerry’s patience and understanding of infants/toddlers allows for this classroom to be above and beyond a parent’s expectations. Ms. Peggy has her Associates Degree in Early Childhood from Waubonsee Community College. She has been working with children for approximately 11 years. Ms. Peggy ‘s experience includes working with children who have special needs. She is First Aid/CPR certified. She enjoys volunteering at Landmark Education where she assists children and young adults in seminars. Ms. Peggy is Lead Teacher and Director Qualified. Little ones adore Ms. Peggy, as she loves them as her own. 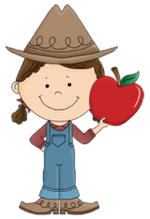 Ms. Michelle has over 7 years of experience working with children in private school settings. She has attended Schoolcraft College in Michigan. Ms. Michelle has volunteered as a Brownie Leader and has worked with the Junior League of Kane and DuPage Counties, where she assists at-risk children to complete assigned projects. Ms. Michelle’s outstanding organization skills and willingness to try new things, allow her to maintain a structured and exciting classroom. Ms. Cheryl has her Bachelor’s Degree in Business (Human Resource Management) from Northern Illinois University, and a certification in Early Childhood Education from Waubonsee Community College. She has worked in the Geneva School District for 8 years. She has also worked for 4 years at the First Baptist Church in Geneva as a Lead Teacher for Preschoolers. Ms. Cheryl volunteers at Haley’s Playground in North Aurora, which is a Nonprofit Organization for children with disabilities. She coordinates the soccer program and she is an assistant for the Teen Program. Ms. Cheryl also volunteers at Anderson Animal Shelter where she is the Cat Socialization Mentor for new volunteers. She is First Aid/CPR Certified. Children are quickly drawn to Ms. Cheryl for her patience and gentle, caring nature. Ms. Maryann attended Triton College. She has been employed in the Bloomington School District. She has also held the position of Publicity Chair for the American Cancer Society and she volunteers at the Naperville Area Humane Society. She is First Aid/CPR Certified. Ms. Maryann is known for being a gentle, loving teacher who is committed to going above and beyond her teaching and child care expectations. Ms. Ashley obtained a Bachelor’s Degree from Eureka College in Physical Education (K-12). She is currently continuing her education in Early Childhood Development, which will lead to her being Director Qualified by Fall, 2015. Ms. Ashley has been a nanny for 3 years and officiated soccer for 7 years. She is First Aid/CPR Certified. Ms. Ashley is a vivacious teacher who mixes in well with the children when it comes to active learning. She loves her job and it’s obvious through her personal interest for each child. Ms. Dawn has a Bachelor’s Degree in Marketing & Sales. She also has her Early Childhood Certification from Ashworth College. She has approximately 23 years of experience working with children. Ms. Dawn started the Bunco for Breast Cancer in Batavia and heads the 5-Star Learning Ranch Craft Round-Up & Buckaroo Fun Fair Fundraiser for our school. She is First Aid/CPR Certified. Ms. Dawn is known for her patience and love of children. Her understanding of young children’s physical, emotional and intellectual needs, makes her a stellar teacher.